Whatever your level, the best way to improve your game is by knowing as much as you can. The Leupold will help you reduce your scoring by giving you a quick and precise distance to your target. The high performing digitally enhanced accuracy engine with an exceptional infrared laser technology enables for faster measurements with even more accuracy. With True Golf Range and a club selector setting, which can be switched off for tournament play. This ergonomically designed GX-5i3 gives ranging information and recommends a club based on your own personal hitting power, the lie of the land and the current environmental conditions. 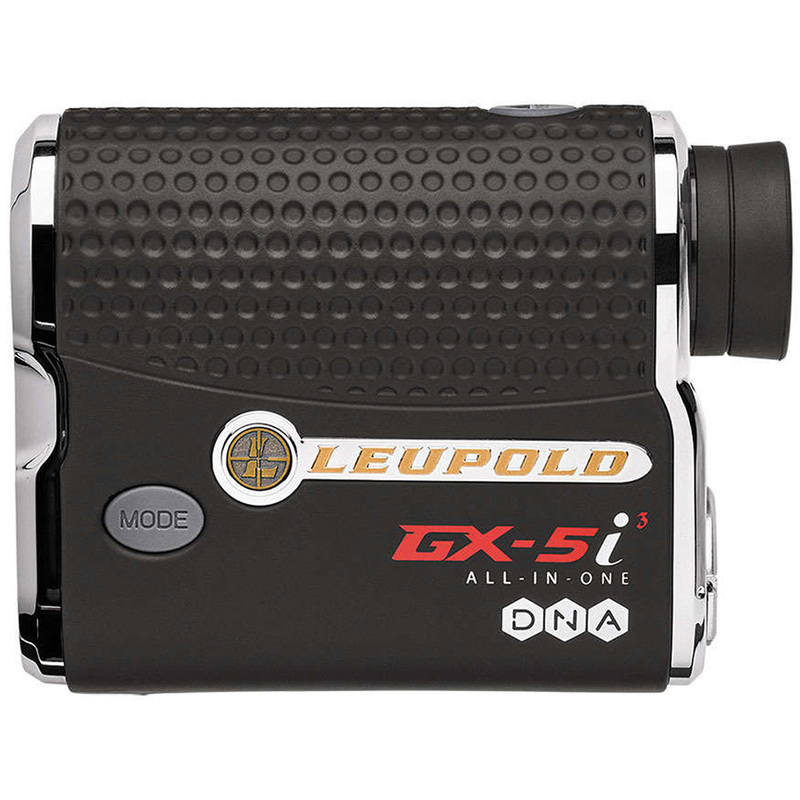 With 6x magnification which offers ample power but maintains a field of view wide enough to track the game. The fog mode allows your rangefinder to cut through the denseness and provide fast and accurate measurements to get you to the green quicker. With bright high light transmission LCD, you can see clearly in all conditions. By powering it with a CR2 camera battery, the batteries are readily available and the fully coated lenses provide excellent brightness, clarity and contrast. With an inbuilt club selector you can incorporate your own hitting power of an 8, 6 and 4 iron and when used with the TGR (true golf range) the rangefinder will recommend the appropriate club for your shot. True golf range measures the straight line of sight distance as well as the incline/decline to the green. Also the player can enter the days temperature and height above sea level as these also affect the striking distance. 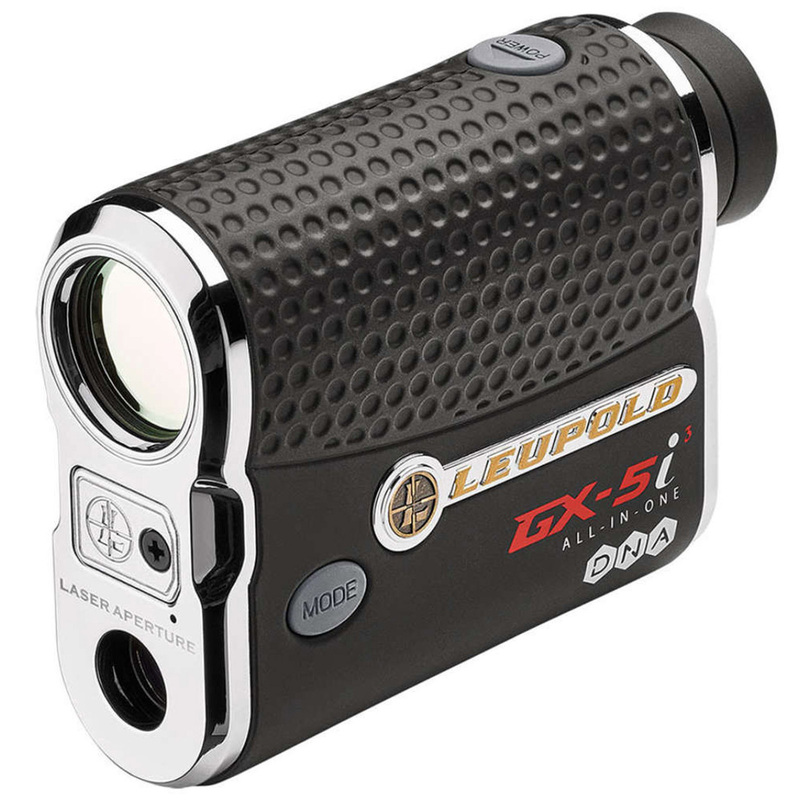 The Leupold rangefinders are the only rangefinders to provide such precise distancing. Combining the PinHunter technology and Prism lock capability gives unrivaled flexibility over thousands of courses both nationwide and internationally. Find any course feature easily, and lock on to the distance while being given audio feedback when you've ranged your intended feature. With the One Touch Scan Mode, If you need multiple readings quickly in on movement, simply keep hold of the power button and the display will constantly update with accurate line-of-sight measurements.